Our classrooms are becoming spaces where community and conservation leaders are learning together. 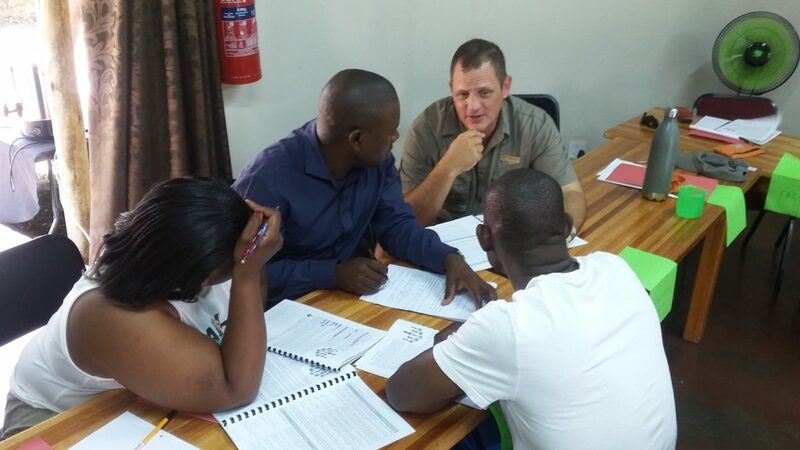 Our RISE unit’s innovative approach of extending training beyond boundaries by bringing community and conservation representatives into the same learning space, resulted in the development of two new courses i.e. Stakeholder Engagement and Governance in Conservation. Both these courses focus on the connection between communities and conservation and how that relationship can be extended beyond the perceived boundaries. The development of both courses were made possible with donor support. Participating students were sponsored by WWF-SA funding received from the Nedbank Green Trust and funding from The Royal Foundation of the Duke and Duchess of Sussex and the Duke and Duchess of Cambridge. 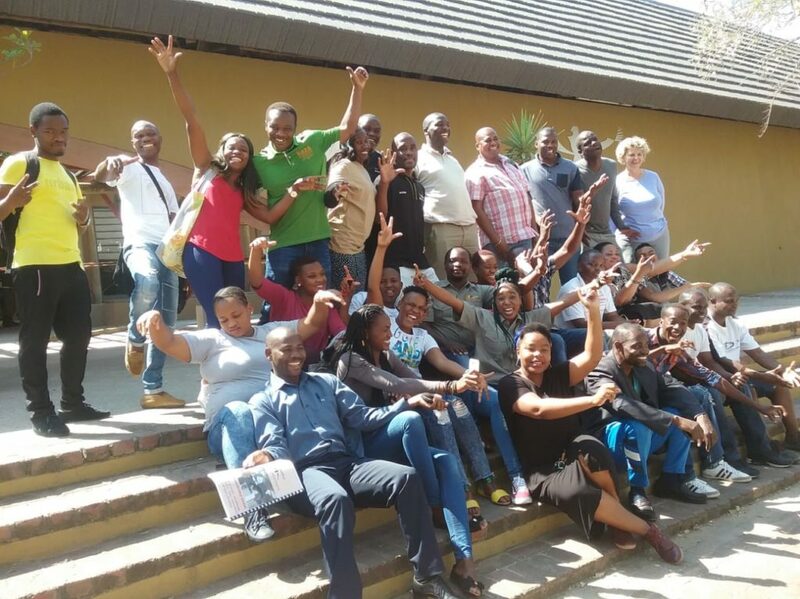 The “Stakeholder Engagement” course piloted in August 2018 had students from the Advanced Certificate class and an additional ten students from the local Mnisi area and the Mayibuye Project site in KwaZulu Natal. The course presented stakeholder engagement as an outcome-oriented process focusing on how to implement stakeholder engagement in practice. Practical methods and tools were included as part of the course. The richness of learning and exchange between students around the importance of engagement with integrity, positively supported our approach of bringing communities and conservation into the same learning space. It brought about understanding of “the other side”. After critical evaluation, the course received institutional accreditation at the SAWC and has been included as part of the Advanced Certificate in 2019. The course is also available as a short course and will be presented in July 2019. 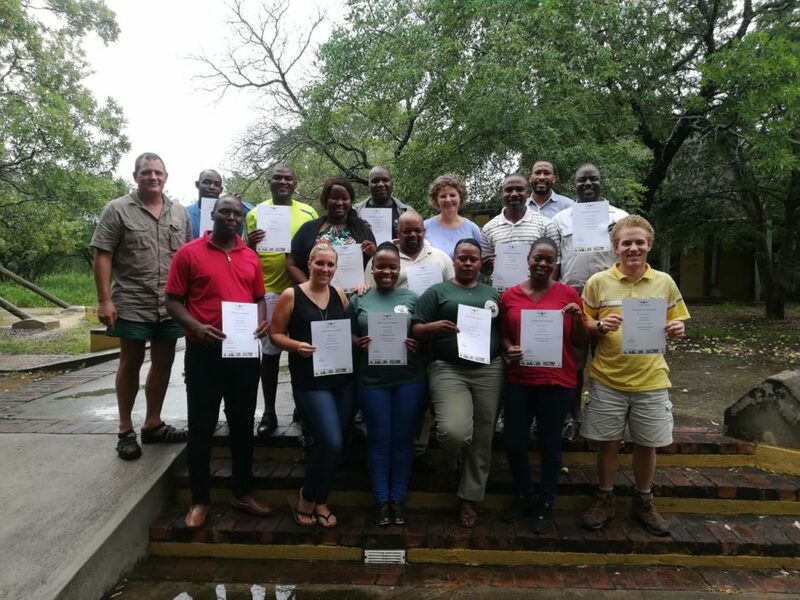 The “Governance in Conservation” short course is the most recent addition in the RISE Unit’s training beyond boundaries initiative. Understanding that conservation is a biological goal that is achieved within social processes, this course was developed with the focus on the interaction within and between institutions, people and decision-making processes that is at the heart of governance. Good governance in conservation and communities is critical for sustainable development. The course focused on practical aspects such as emerging trends of governance in conservation, levels and instruments of governance, and decision-making processes towards governance implementation. We continue to work with organisations and communities in our region to ensure that our products are relevant and at the forefront of training beyond boundaries. Thank you to our students, our partners and our donors for your ongoing support.